September is National Prostate Cancer Awareness Month. Prostate cancer is the fourth most common malignancy among men worldwide, with an estimated 400,000 new cases diagnosed annually, accounting for 3.9% of all new cancers. 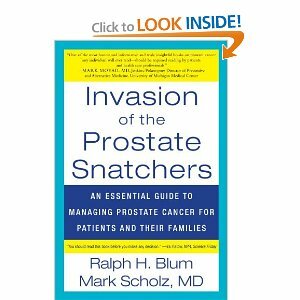 Invasion of the prostate snatchers: An essential guide to managing prostate cancer for patients and their families, by Mark Scholz MD and Ralph Blum. The book discusses the latest thinking on prostate cancer management, from two perspectives, a doctor and a patient. Ralph Blum writes in an entertaining style about his twenty year journey with prostate cancer and his decisions along the way, while Dr Mark Scholz presents new scientific advances, with a focus on non invasive approaches. Chapters alternate between the two authors - with comments at the end by the other. It's a nice style and makes for easy reading. It provides a lot of information for patients and families to help them make decisions on what approach to take. I highly recommend it. 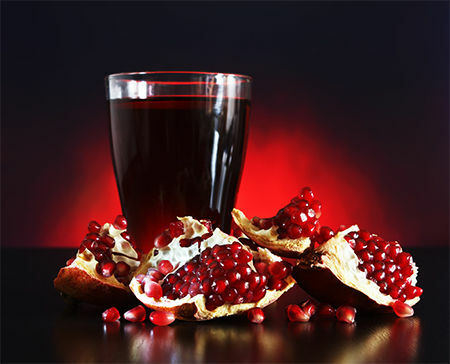 Epidemiologic evidence strongly suggests that dietary factors play a major role in prostate cancer progression and mortality, with protective effects associated with consumption of fruit (esp. tomatoes), and increased risk linked to dairy. My recommendation for prostate cancer patients, or those at risk, is to avoid milk and dairy consumption (actually, this is my recommendation for everyone!) . The evidence is mounting. Major studies suggesting a link between milk and prostate cancer have appeared in medical journals since the 70's. 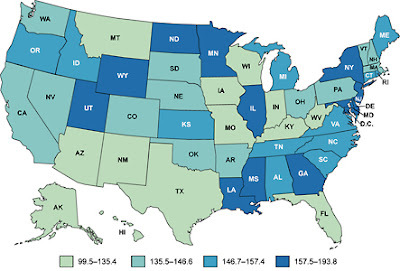 In international and interregional correlational studies, dairy product consumption has been consistently associated with prostate cancer mortality. Researchers are looking at not only whether milk increases cancer risk, but also how. 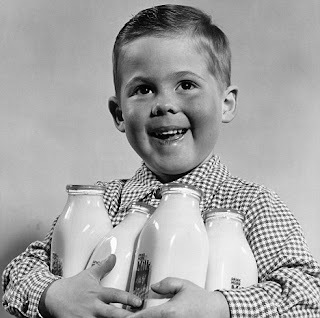 There are several possible mechanisms: that milk with its high calcium levels adversely affect vitamin D metabolism; that dairy consumption leads to an increase in concentration of insulin like growth factor (IGF-1) which promotes cell cancer growth; and that most dairy products contain substantial amounts of fat and no fiber which is a combination that leads to increased testosterone concentration and activity which can have a cell replicating effect on prostate tissue. .
For further information on the research regarding prostate cancer and dairy, see the summaries supplied by Dr Neal Barnard of PCRM. 1. Chan JM, Stampfer MJ, Ma J, Ajani U, Gaziano JM, Giovannucci E. Dairy products, calcium, and prostate cancer risk in the Physicians’ Health Study. Presentation, American Association for Cancer Research, San Francisco, April 2000. 2. Cohen P. Serum insulin-like growth factor-I levels and prostate cancer risk—interpreting the evidence. J Natl Cancer Inst. 1998;90:876-879. 3. Chan JM, Stampfer MJ, Giovannucci EL. What causes prostate cancer? A brief summary of the epidemiology. Sem Canc Biol. 1998a;8:263-73. 4. Giovannucci E. Dietary influences of 1,25(OH)2 vitamin D in relation to prostate cancer: a hypothesis. Cancer Causes and Control. 1998b;9:567-82. 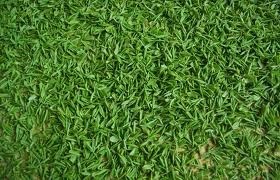 After yesterday's post about hibiscus tea being higher in anti-oxidants than green tea, you may be left thinking you should make a switch from green to hibiscus tea....but before you throw out that green stuff, let's look at some of the other benefits, above and beyond anti-oxidant activity, that green tea has to offer. Although coming in second place to hibiscus tea, green tea does still have a very high antioxidant value (see yesterday's table) and is also a detoxifier by activating enzymes in the liver that eliminate toxins from the body. It is rich in polyphenols including catechins and particularly EGCG (epigallocatechin gallate-3). EGCG is one of the most powerful nutritional molecules against the formation of new blood vessels by cancerous cells (angiogenesis) needed for tumour growth and metastases. Green tea also facilitates the death of cancer cells (apoptosis) and has been seen to enhance the effects of radiotherapy on cancer cells. Pretty impressive stuff heh? And so many good clinical studies on it's effects. 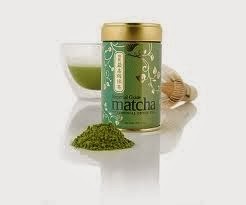 Japanese green tea - called Matcha - has even higher levels of EGCG than chinese green tea, as matcha is ground up tea leaves rather than just steeping the leaves in water. 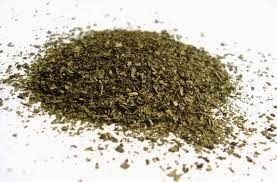 EGCG is not present in black tea as it is destroyed during the fermentation process required to make it. However, decaffeinated green tea still contains all the good polyphenols that caffeinated green tea does, so its preferable to go with decaf. After two or three cups of green tea a day, EGCG is plentiful in the blood and spreads throughout the body by means of our small capillary vessels. 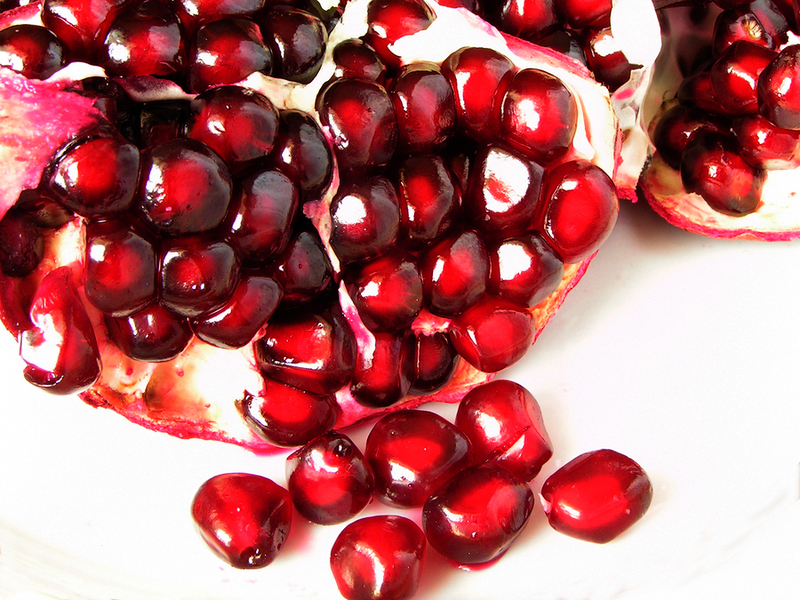 These surround and feed every cell in the body. EGCG settles on the surface of cells and blocks the "switches" or receptors on the cells, whose function it is to set off a signal that allows the penetration of neighboring tissue by foreign cells, such as cancer cells. Once the receptors are blocked by EGCG, they no longer respond to the signal that cancer cells send to invade tissue and to make the new vessels needed for tumor growth. 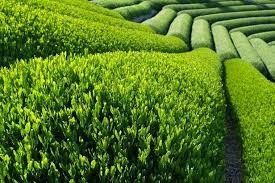 Studies have shown green tea to substantially slow the growth of leukemia, and breast, prostate, kidney, skin and oral cancer. It has been found that green tea has even greater effect when combined with other molecules commonly found in Asian diets, such as soy. So hibiscus tea or green tea? I don't see any reason to choose just one - why not just drink both? Both have benefits and both taste very different from each other, so if you are in the mood for something fruity, try the hibiscus, otherwise, go green. And don't limit yourself to just drinking your EGCG - you can add it to yoghurts, smoothies, ice cream, cakes, desserts - especially if you use the powdered Matcha. Even Nestle have come out with a green tea KitKat bar in Japan! How will you get your green tea?